Another gold award was attained by the young film makers of LPU-Laguna as their entry for the 9th EdukCircle Documentary Making Festival entitled Silang Walang Daan, won the top spot last September 2018. The documentary tackles the inconvenience brought by the forlorn road which greatly affects the everyday lives of the people of Tiniguiban. Every travel to and fro the barangay means the risk of anyone’s life. Executive Producer Juan Carlo Mirabuna shares that their inspiration was the residents of Tiniguiban who hope and pray for the betterment of their community. Also, he added that it is hard to make a story about a subject which could not speak, which is the forlorn road so they used the voice of the residents who have experienced the hardship of traveling through the roads of Tiniguiban. One of the judges, CNN Philippines reporter Cecille Lardizabal was touched by the sincerity of the documentary. “I felt it in my heart. It was real, it was sincere. Honest to goodness. You can feel, you know there’s really sincerity and honesty, everything. And I felt happiness. I felt joy”. She emphasized how the story was perfectly narrated. “Kailangan umpisa pa lang may impact, and most importantly, kailangan nararamdaman ng judge. Alam mo iyon, kasi it’s different when you feel it in your heart and it’s contrary to just documentary making”. The panel of judges came from different media networks: Bloomberg Executive Producer Branden Milla, GMA Executive Producer Portia Carbonell, GMA News Correspondent Mark Salazar, and GMA Associate Producer Toni Pua. Communication student John Carlo Sobrepeña of Baliwag Polytechnic College stated that Silang Walang Daan stood out among the rest because it gave a voice to the hardships of the daily life of the people of Tiniguiban. Out of the 18 colleges and universities, Silang Walang Daan brought home the gold award, Manuel S. Enverga University Foundation’s Kapit sa Bangin bagged the silver award while the bronze award was given to Perpetual Help College Manila’s Tira-tirang Kinabukasan. For the third time, LPU-Laguna bagged the gold award on the said event. The first gold award was taken last 2015 with the documentary Ninakaw na Pangarap followed by Tugatog ng Tagumpay last 2017. 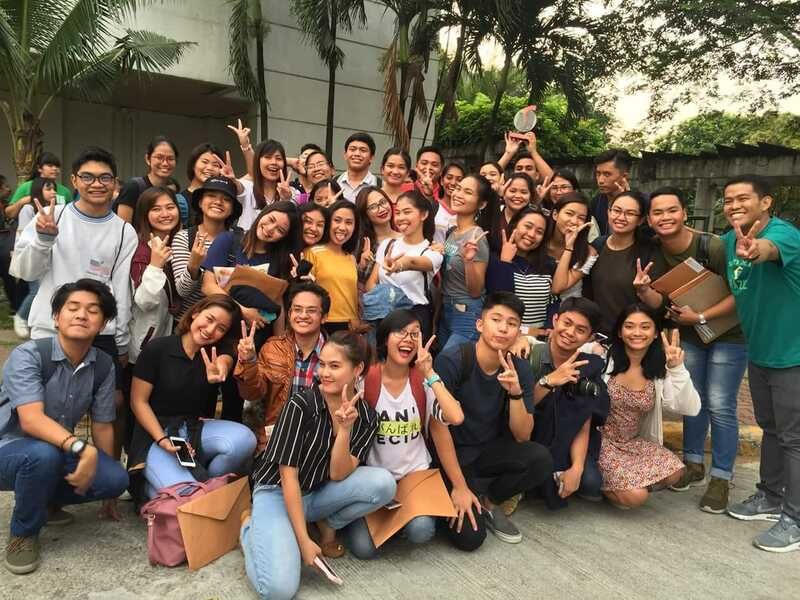 The EdukCircle Documentary Making Competition continues to aim to showcase the ability of the students to create a documentary that reflects the problems of the society.